There's a pleasant and little-known walk along the north bank of the Thames running from Blackfriars to St Katherine's Dock. 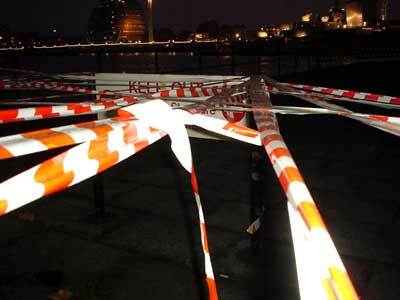 A crumbling wooden pier necessitated the warning tape. please donate!